Laval Academy for Beauty Arts and Sciences located in Dahiyat Al Yasmeen provides extensive education in Esthetics and Coiffure Specializations. The Academy’s curriculum, certifications, and accreditations are based on International Standards. 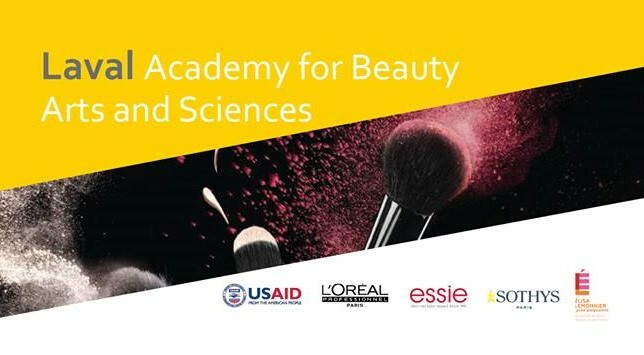 We have partnered with Academie de Paris – GIP-FCIP in France, School Elisa Lemonnier in France, and L’Oreal Institute to provide students with valuable and internationally-recognized certificates for their professional career. Laval Academy offers an alternative route for individuals interested in continuing their education or pursuing a career.The Academy’s complete solution encompasses education, hands-on training, and job recruitment support, which makes it an ideal environment for those looking to launch their career. Most importantly, the curriculum is designed to meet the needs, interests, and demands of both the individual and the market. Our instructors are internationally experienced and certified, and all course materials have been supplied by our international partners.